Hedgehog Wrangler, Photographer And Now Debut Novelist. John Jackson Talks About His Writing. 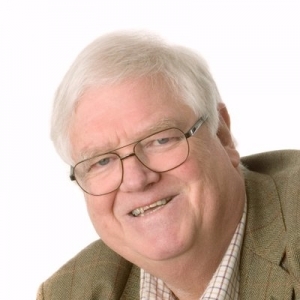 This week, I am delighted to welcome John Jackson to my blog. If you are an RNA member, you are bound to know John, firstly because there aren't many men in our ranks and secondly because he's the one with the camera! As well as being a photgrapher, he describes himself as a hedgehog wrangler and a dance fan. 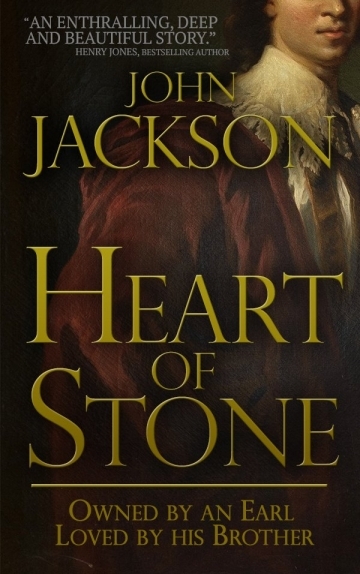 John's debut novel, Heart of Stone, was published recently and he's joined me here today to chat about it and about his writing in general. How did you start writing? Were you a childhood writer? I started writing many years ago when our kids were little. I was away at sea, and it was a good way of passing the time. This is LONG before the days of e-mail; back then we may only be able to get a letter away once every 3 weeks, and possibly up to 6 weeks between chances to phone home. Writing filled that gap. They were simple animal stories; sub-Beatrix Potter/Alison Uttley. Unfortunately, I no longer have them. I tried vaguely later in life, but without any real conviction or drive to finish a story. How long did the first draft take to write? How many drafts were there? It took me six months to complete the first draft. That went in to the RNA New Writers Scheme. It was then rewritten and edited about 4 more times. How did you get together with your publisher, Crooked Cat? A friend, Angela Wren, was with them. I looked them up, saw they were open for submissions, and sent my MS in. I then did a lot of "due diligence" talking to other authors on their list, in different genres. Everyone published by them reckoned they were excellent! I can only agree. One of your Amazon reviews comments that the "dark tendencies of the main villain were both frightening and gripping." Did your villain's character grow over time or was it matter of arriving in your imagination fully formed? He did grow with time. He was a baddy to start with, and got worse. He is based on a real person, Robert Rochfort, who was my 5 x Gt-grandfather, and who really WAS an evil person. Plotter or pantser? Or were you following family history so closely that this question is redundant? I'm a Plotter by nature. All my family will tell you I do a mean List! The REAL events were too tragic all round to make a novel as it stood. I like the idea that I have written the story of what SHOULD have happened. For you, what is the hardest part of the writing process? And what do you enjoy the most? The hardest is having the confidence to believe in the story I want to tell. The best part is writing "The End" when it is properly finished. Jen, thank you for visiting my blog. I'm pleased you enjoyed John's interview. You are right to pick out that confidence comment as being one that writers will recognise and identify with. It's important to keep writing and not lose faith in your story. Hi, Eden. Thanks for sharing your thoughts about the baddie in John's book. You raise an interesting point. Readers with modern knowledge and understanding will bring additional insight to the interpretation of an 'evil' character in a novel. Such an interesting interview, John. It's lovely to find out more about you here on Susanna's wonderful blog. Your comment about 'having the confidence to believe in the story [you] want to tell' resonated with me--and undoubtedly many other writers too. I battle those crows of doubt frequently but, like you, I persevere to the end! Congratulations on your debut release and wishing you much success in your future writing career. Hedgehogs... so very sweet. And to know there is a special food to offer them. We don't get them in our area, which is a shame. Your chosen "villain" though... interesting that you call him a "real evil" person. Damaged it seems to me. So messed up that he couldn't bear the thought of possible desertion or loss or any kind, especially by those he felt he should have been able to trust completely. Doesn't make what he did right... just goes to show how damaged people cause a lot of suffering in their wake. Glad you enjoyed the interview, Kirsten. Family history can be such a rich source, as you know. Thanks for the comments, everyone. They are much appreciated. Re the Hedhehogs - we first had one appear in the garden three years ago, and we started to put some food out. The original (christened Mr Snuffles) kept coming back, and his mate came too that first year. Since then they have kept on coming - we have had as many as five (5) at the same time on the "feeding station". We have stopped using any chemicals or sprays in the garden, and have left piles of leaves around for them. As I write, they are just starting to hibernate. We will keep putting feed out for a few days though, just to make sure they are really asleep. We feed them on a mix of chipped peanuts, sunflower seed hearts, mealworms and some specialist hedgehog pellets. All from the petfood section at Wilko (in the UK). Thanks for your comments, Julie. I'm interested to hear about your experiences with history-based research. You're right - it is a wonderful resource for writers. 'Generous' is such a perfect word to describe family history as a resource. I didn't know that you started out writing a Victorian saga. It sounds as if maybe that is where your heart really lies. I'll see if I can get John to explain about the hedgehogs! Nice to see you n Susanna’s lovely blog, John. I’m trying to find matinee what it must have been like to be so far away from your family with only sporadic communication. No wonder you turned to story writing. Good luck with your novel. I found this interesting, because my first attempt at a novel came about after I volunteered to write a parish history to raise funds for my church. I have no idea why I did that, but I loved the experience and decided to use the research as the basis for a story about a fictional family. There is something particularly generous about family history and local history enthusiasts; some of the stories I uncovered were very interesting. I've been trying to write women's fiction but I'm struggling to get as excited about it as I do with historical fiction, so I may well return to my Victorian saga. I am intrigued by the term hedgehog wrangler! This was a fun interview to do!! Lovely to hear from you, Jan. I specially like the link between John's family history and his novel. I hope it won't be long before I'm interviewing you about your own debut novel! Thanks for commenting. Thank you for an interesting interview, John and Sue. I love to hear the story behind a debut novel. Congratulations on the publication of ‘Heart of Stone’, John.